Bland, who has served in his role in Champaign since 2003, will start his job 45 days after signing a contract with the Portsmouth Redevelopment and Housing Authority, according to The Virginian-Pilot. Bland did not respond to requests for comment. Housing Authority board chairman Rev. Larry Lewis said Bland has not yet stepped down and would not comment on plans to replace him. Lewis, however, did talk to The Virginian-Pilot about Bland’s plans to leave. Under Bland’s leadership, the housing authority has expanded greatly over the past 14 years, with the most recent additions including senior housing in Mahomet set to open later this year, a new 99-unit Skelton Place in Champaign set to begin construction next year, and two recently completed projects in the Providence at Thornberry and Providence at Sycamore Hill. 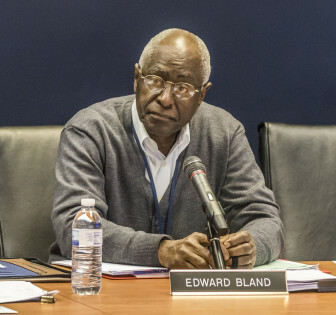 During his tenure, Bland twice came under fire for mishandling board appointments, including the appointment of former Board Chairwoman Margaret Neil and current board member Linda Turnbull. Bland arrived in Champaign in 2003 shortly after resigning from his post in Gary, Indiana, where he was reassigned from his position as executive director after a federal report into the housing authority found he “grossly mismanaged” a program to rehabilitate housing authority properties, according a 2003 article from The News-Gazette. In Portsmouth, Bland will take over a housing authority that recently fired its long-time executive director in part for “’underperformance of duties as executive director'”, according to The Virginian-Pilot.